Getting the Natural Look using stains and wood types to create the perfect natural look for your home. Here on the Shutterly Fabulous blog we’re often talking about block colours and tones, but today we’re going to look at using natural woods in a shutter scheme. Being stuck in the middle of a particularly crisp autumn, we got to thinking that our wooden tones are the perfect shade to be using in your home for this time of year. The varying hues of brown, gold and orange encapsulate the colours of the season, and help lift our moods in time for the impending march of winter. This rustic look is ideal for those who wish to express a bit of nature in their interior schemes. If this is the case, opt for light shade stain or shade such as Maple or Oak, as these will display the tones and grain in the wood better. Match these shades with natural paints and finishes on floors and walls, teaming these with decorative accessories which might play on this ‘all natural’ theme. A natural wood shutter evokes a timeless look that can work throughout the home and can complement traditional to contemporary tastes. For the latter, think about using with geometric prints in your furniture and accessories for a statement look that will work well with these shutter styles. 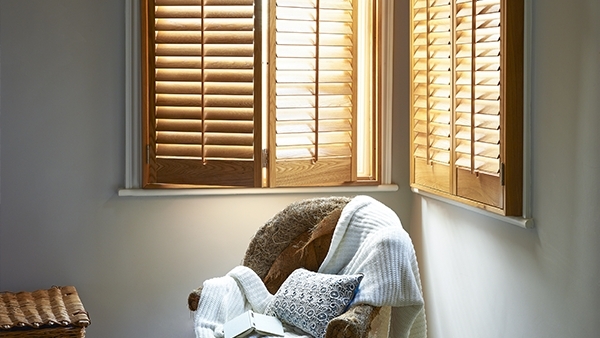 Use shutters from Shutterly Fabulous to incorporate these tones into your spaces, adding personality to your home and staying ahead of the trend.